General Armitage Hux faced the public Saturday and defiantly said he will not resign because he does not believe that it is him in a racist photograph from his 1984 Tatooine University yearbook. 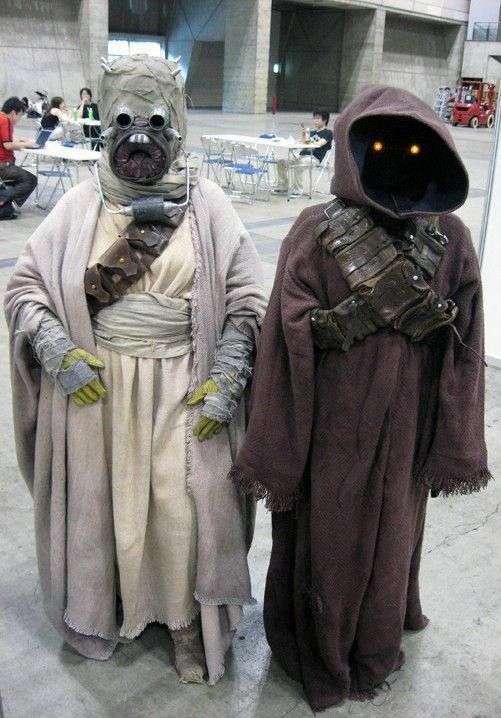 “I am not either of those people in that photo,” Hux told HoloNet media gathered on the Supremacy II, referring to the image of one person dressed as a Sandperson and another as a Jawa. Supreme Leader Kylo Ren declared a Galactic emergency on Friday, to access billions of credits to build a New Starkiller Base, transforming a highly charged policy dispute into a fundamental confrontation over separation of powers. In a HoloNet announcement, Ren said he would sign the declaration to protect the Galaxy from the flow of deathstick dealers and illegal aliens, which he characterized as a profound threat to Galactic security. “We’re going to confront the Galactic security crisis in the Outer Rim, and we’re going to do it one way or the other,” he said. “It’s an invasion,” he added. “We have an invasion of Scum and Villainy." Investigators sifting through the fire-ravaged Jedi Temple on Coruscant warned of potential weaknesses in the remains of the building Tuesday, as experts warned it could take months just to identify the scale of the reconstruction task. Jedi Librarian Jocasta Nu said experts had identified "some vulnerabilities" in the Old Republic landmark, particularly in the roof, much of which has been destroyed, and part of the Library. Prosecutors have opened an investigation, but on Tuesday they said "nothing shows that it's an intentional act," and that the start of the fire was "likely accidental." Attorney General Mas Amedda will release the highly anticipated Organa Report to Senate and to the Republic on Thursday morning, a Department of Peace & Justice spokesman said Monday. Investigators for the special counsel, Bail Organa, found no conspiracy between Rodia’s election interference and Snoke associates, Amedda told lawmakers last month in a letter outlining their main findings. They declined to make a decision on whether Snoke illegally obstructed justice, and stopped short of exonerating him, but concluded that Snoke had not committed an obstruction offense.